Seller Kevin1717 assumes all responsibility for the listing and deleting of this ad. 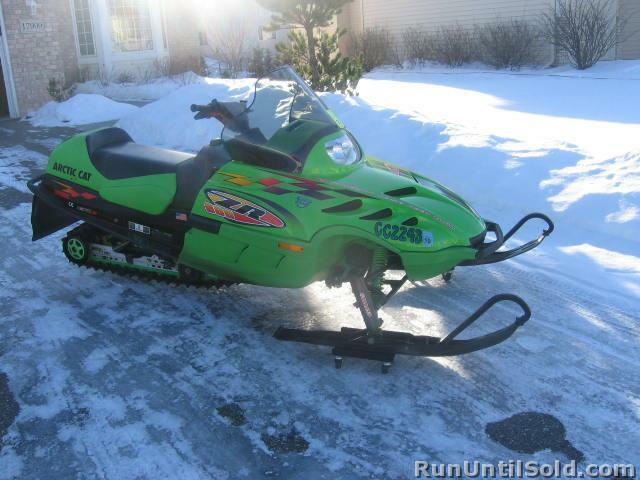 Low mileage752.4 miles1999 Arctic Cat ZR 600. Fuel injection. Showroom condition. Garaged. New hyfax, plugs, chaincase oil this year. Suspension lubed every fall. You wont find a cleaner looking example of this model. Kevin1717: You may EDIT your ad Description, or Delete your ad.